Did you know that most miracles Jesus performed were always around feasts? Jesus, his mother, and his disciples were at a party, and the Wine had run out. He told the servants to fill up the Stone Jars (20-30 gal each) water, and somehow, he turned that water into Wine. What a miracle right? 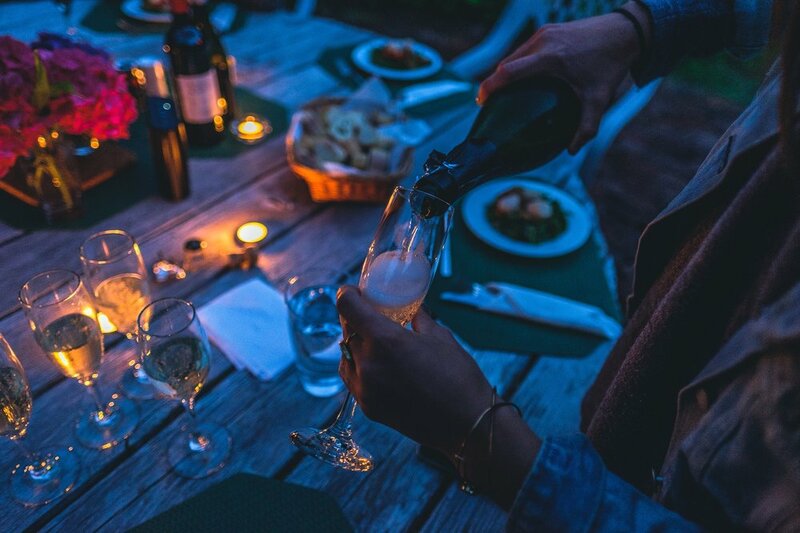 Here are 3 reasons why you need to throw a dinner party to have miracles for your business. Tip #1 - Planning & having a team. Whenever you host an event, you should have a checklist of everything you need so you can be prepared. Many of us are so busy focused on the big shiny object of the event that we sometimes forget the minor items. For instance, when I threw my dinner party earlier in the year, I was so focused on the meal itself I had forgotten about the napkins and had to ask a friend to get it for me at the last minute. Having a team is also another key. Although I’m a great chef, I’m not the best host. I had asked my friend “Everyone’s Aunty Mary (@everyones_auntie_mary)” to be my hostess for my dinner party since she has an amazing bubbly personality and love to chat with people and make them feel welcome and entertained. The key to success in any business is a good relationship. Whether it’s colleagues, prospects, or customers, if you want people to buy from or work with you, you have to get people to like and trust you. During the event, you have to build a relationship with everyone. By hosting an event, you will automatically become the influencer. Turning strangers into friends is not an easy task, but nothing brings people together like food and breaking bread with each other. Did you know the word ‘companion’ comes from Latin and means ‘with bread’? By hosting an event, you will bring people together, and they can bond. Even Jesus said, “I am the Bread of Life” (John 6:35). The most significant challenge people often have with social media is content creation. By hosting your own dinner party, you can say goodbye to this challenge! So, this is what I did during my dinner party. I had my friend Marian (@xoxophotoboothsd) take pictures during the event, and Jony Cruz was taking videos of the event & testimonials from the guests after the event. This way I had plenty of content created to post on social media. As we all know engagement is the key to success on social media. If you want more people to know about you and your business, have your guests check in to the event page on Facebook, use a special hashtag for the event, i.e. #chefyumyum and have your guests use it. If you want miracles in your business, don’t forget to throw dinner parties and apply the 3 tips! Just remember if you don’t possess the ability to cook an amazing meal, outsource that task to someone who can.